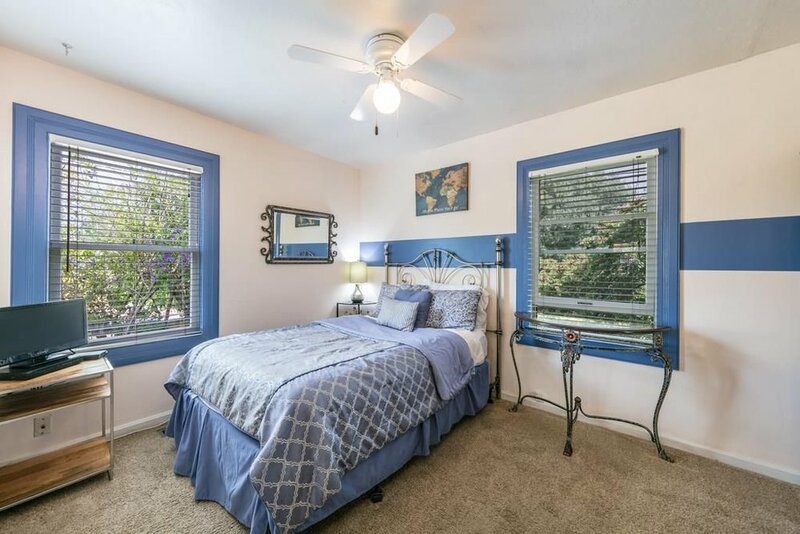 Looking for a romantic Bed & Breakfast in Santa Clara? Madison Street Inn is an historic hotel alternative and romantic bed and breakfast, nestled away in the heart of the Silicon Valley. Your perfect getaway or staycation! The only room named after a General instead of a President, the Fremont room is a light, airy corner room with lots of natural lighting. Although one of our smaller rooms, it is the favorite room of Theresa. She attributes her love for this room to the two windows and the Bay leaf tree right outside one of the windows. Sharing a bathroom with the Jefferson room, this room has a full-size bed and a refinished antique cast iron sink in the room. Sign up with your email address to receive 10% off your first stay plus access to special deals and promotions. Thank you for signing up! Take 10% Off your stay! Use code SANTACLARA at checkout.